China made cn300311sw flame linerlock a/o dagger. 5" closed. 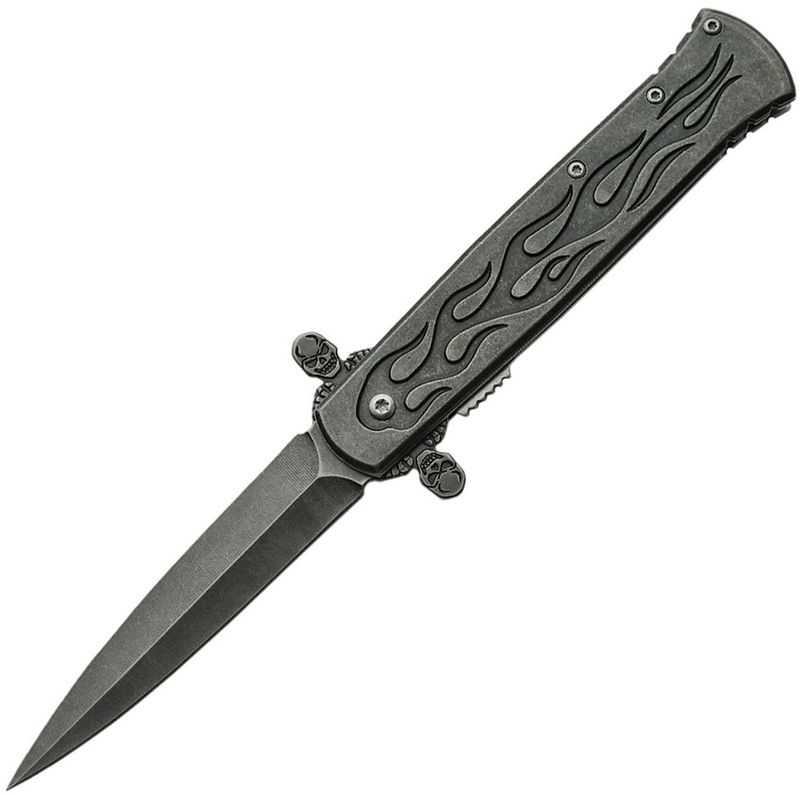 3 3/4" stonewash finish stainless dagger blade with false top edge and extended tang. Stonewash finish stainless handles with flame design. Pocket clip.